Gaining comfort with the soccer ball at a young age is the quickest path to a successful soccer career. 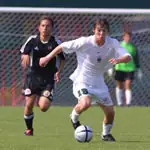 Find the advice, tips and drills you need to possess great technical soccer skills. The pros can juggle forever--how long can you go? Learn one pro's secret to learning how to juggle, and improve your soccer skills instantly. From warm up to cool down, this session will work all angles of your team's passing skills with games like bread and butter and keep your yard clean. Crisp, accurate passes will improve overall play. Follow this series of passing drills that focus on proper foot placement, hand-eye coordination and more. 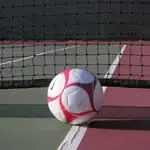 A soccer game that meshes aspects of tennis and volleyball will be a hit with young players--all while building technical skills. A player who's already good at juggling can be challenged even more. Find out how to make a good ball handler even better with these juggling drills. During the course of a game most players are limited in their number of possessions, therefore it's important to make the most of each opportunity. Learn why the first touch is crucial to soccer success. Dribbling is a ball skill that's crucial in soccer. Here are four activities that can help put your team's foot skills on par with the best players. Former U.S. national team star Julie Foudy was regarded as one of the top midfielders in the world. Learn one drill she uses to be an effective passer. See more soccer skills training tips or find a soccer league near you.